Something I’ve said more than once over the years is that the three biggest influences on me among writers are Pauline Kael, Bill James, and Greil Marcus. I consider myself lucky to have had some contact with two of them. I interviewed Marcus back when I first started writing, and he later contributed a few comments to my old fanzine; the past couple of years I’ve submitted the occasional question to the “Hey Bill” section of James’s website, and he’s responded to most of them. 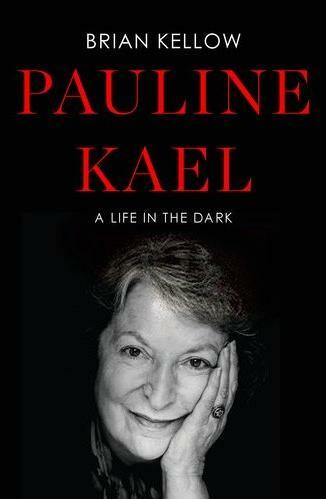 Something I often regret, though, is that I never sent any of my writing to Pauline Kael. I’ve primarily written about music the past 25 years, but I wish I’d sent her a piece I wrote about the best uses of pop music in Scorsese’s films—an idea that I bet has been done to death now, but which I think was fairly novel when I wrote it up for Scott’s Popped website in the late ‘90s—or a couple of pieces I did for Cinemascope around the same time, which would have been a couple of years before Kael’s death. I have no idea whether I would have had any success in getting anything to her, whether she would have liked any of it if I had, or even whether she would have bothered reading it in the first place. I’m guessing she was bombarded with stuff on a constant basis and from all directions—from the now infamous Wes Anderson solicitation to see Rushmore, to fan letters and invitations and everything in between. Between the message board, Kellow’s book, reviews of the book, and James Wolcott’s Lucking Out (in which Kael figures prominently) on top of all that, I’m a little Kaeled out at the moment, but before I hand it over to Brian, let me say that I think A Life in the Dark is excellent. Its portrayal of Kael did not in any way conflict with my sense of her as a reader (I feel like I have to stress that; some reviews written by friends of Kael’s—some, not by any means all—disagree), and my recognition of her influence on me has deepened. A lot of Kael’s own words make their way into A Life in the Dark via review excerpts, and I liked that: as I wrote on the message board, these excerpts—and the almost month-by-month timeline of the films that caught Kael’s attention—construct a parallel story, the story of American film from the late ‘60s through to the late ‘80s (but American films in the ‘70s especially, which has always been my own frame of reference), that is inseparable from Kael’s. Does Kellow always agree with Kael’s verdict on specific films? No—he’ll sometimes say so. Did I? No. Do I always agree with Kellow’s occasional disagreements with Kael? No. Does any of that detract from the book for me? No. The main thing was that it always felt like I was reading someone who’d been as permanently shaped by the likes of Reeling and Deeper Into Movies as I’ve been, ever since first discovering Kael at some point near the end of high school. There’s an oft-quoted line of Kael’s (a friend has it on the masthead of his blog) from her introduction to For Keeps, one of those earlier career overviews: “I’m frequently asked why I don’t write my memoirs. I think I have.” True—I wouldn’t try to argue that Kael’s body of work did not leave behind a complete world. But I’m still very glad that A Life in the Dark exists. Just listened. You got a lot out of him … I suspect it was a combination of good questions and his willingness to open up, but it was a fine interview. I thought it was funny when you tried to get him to guess what Kael would have thought of this or that recent film … since we can no longer ask her, we’ll ask her biographer, instead! I wonder if the 10th pick on her Sight and Sound list would have been something with the Ritz Brothers?